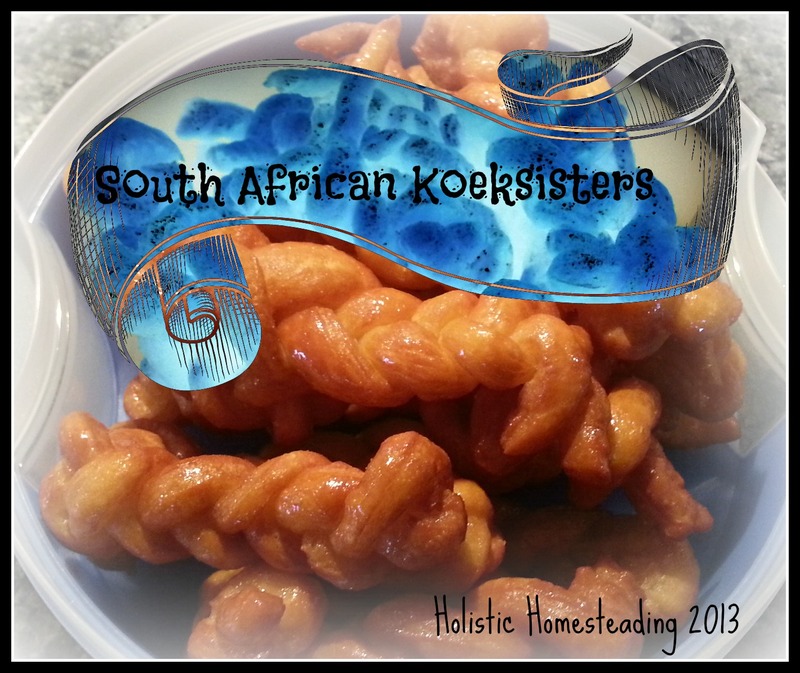 Today I would like to share another South African favourite - Koeksisters! 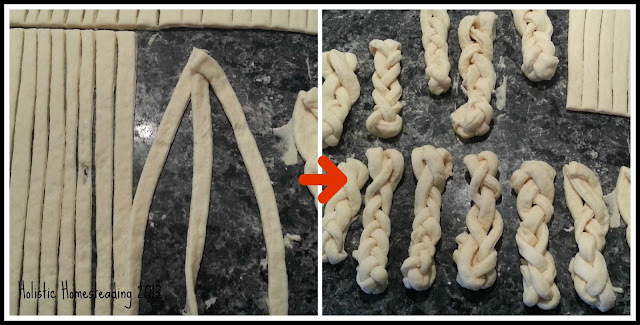 If you have a sweet tooth, then you want to be trying some of these delightful little braids of goodness! First start by preparing the syrup. Bring the water and sugar to a boil and allow to boil for a further 8 minutes. Remove from the heat and stir in lemon juice and vanilla essence. Pour into two bowls and place in the fridge. You will be using the bowls of syrup alternately to keep them cool. Place the flour, salt and baking powder in a bowl. Add the butter and knead into the dough with your fingers. Now add the milk and mix until you have a firm, but light dough. Roll out the dough until it is relatively thin (a couple of mm thick) and then cut with a pizza wheel into strips and if too long, down the middle also. Now plait/braid your strips into small plaits and lay aside. Fetch out a bowl of cold syrup. Leave the other bowl inside the fridge and after 2 sets of koeksisters from the hot oil, swap the bowls and place the warm syrup back into the fridge to cool down again. 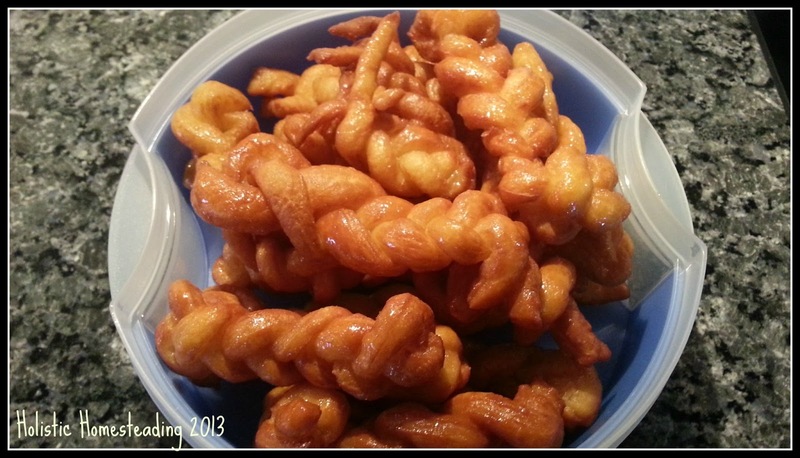 Heat the oil and fry the koeksisters, 3 or 4 at a time. Turn once lightly brown to brown the other side. They should have a golden colour to them when you remove them from the oil, don't let them get too dark. Remove from the oil and place directly into the bowl of syrup. Count to 5 and turn in the syrup. Count to 5 again and place the koeksister on a wire-rack to cool. When they are cool, place them in a container and keep in the fridge. They taste better after cooling down for a while and they taste better and better the longer they are in there! I would love to hear from you if you have made these.